Ok, this challenge is different. Can you come up with a graph that goes through these three points? Bonus: Can you come up with 3 more? Double bonus: Can you come up with “infinity” more (a general solution)? 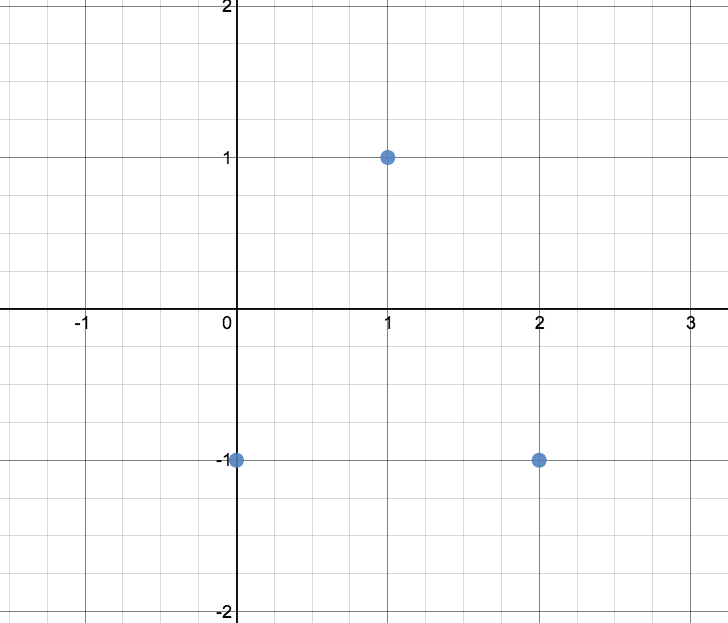 Triple bonus: Can you find polynomial, trig, exponential, logarithmic, polar, implicit, parametric, and “other” solutions? I found a few simple solutions, plus created some slider magic for ellipses. Hopefully more to follow. Thanks for a great challenge, Dan! It’s neat to see how the ellipses tend to the parabola as “a” gets large. Is exponential or logarithmic possible?